Woman tank. 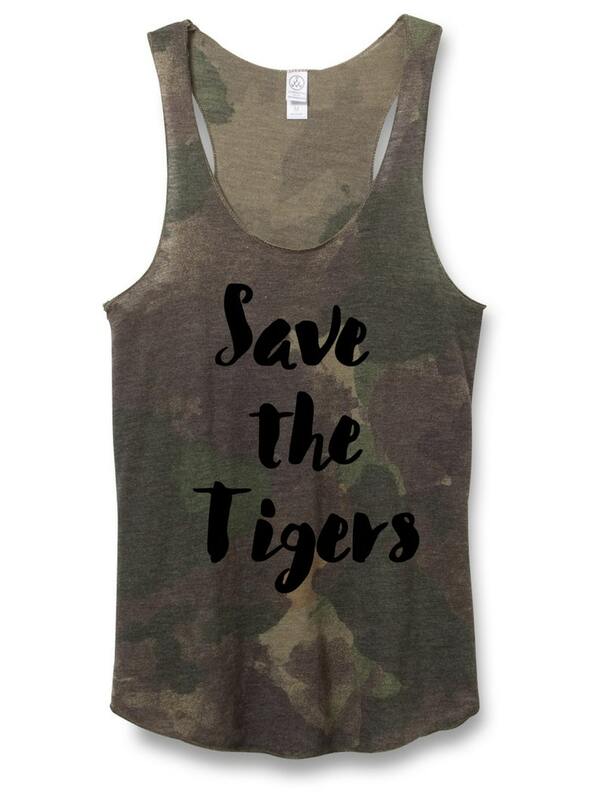 Camo Save the tiger tank top. Women's camouflage racerback tank top with save the tiger print. Hand printed screen print for a tiger lover.